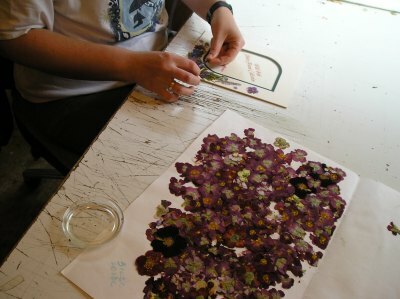 The Workshop firstly introduces people to the process of pressing flowers using traditional tools. 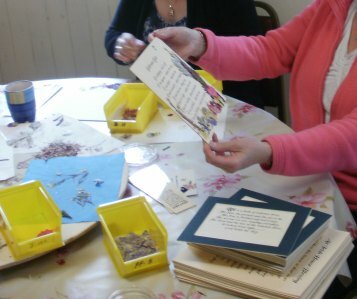 Then giving the participants a demonstration of the art of placing pressed flowers on card with popular printed verse and finally giving the participants the opportunity to design their own pictures and bookmarks which they take away with them! 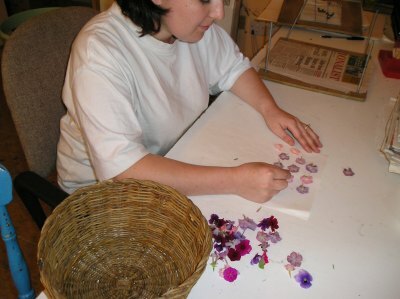 These workshops can be held at Wild Irish Crafts premises at Cronelea near Shillelagh or can come to an organizations premise or to an individual’s home. An ideal addition to an organizations event day or as a stand alone attraction! We cater for all sizes of groups from families of 2 or 3 to large groups of 20 or more. The Workshop takes 2 to 2 1/2 hours depending on number participants.